Yep, holiday sales are in full swing in the shop. Have you thought about your holiday cards yet? Need some help? 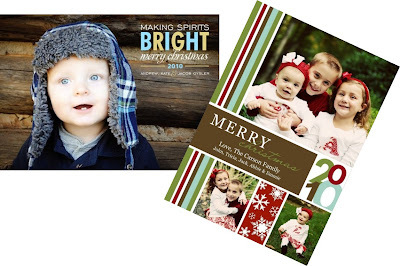 A lovely blogger by the name of Jennifer contacted me about hosting a giveaway to one of Winks and Daisies holiday photo cards on her blog, H is for Hillman. Go ahead and enter.